There are many benefits of SEO and many small businesses in Kenya have started investing in Search Engine Optimization. Kenya SEOs have different techniques that they use to rank their websites. There are different SEO strategies that one can use to rank their website. This is article is not about the normal SEO techniques that you already know about. There are common practices that most SEO experts know that can help with your ranking. However, when most websites competing for a keyword implement the same strategies, ranking your website can be difficult. Standing out from your competition will make you outrank your competitors even for the most difficult keywords. We will explore other search engine optimization techniques that are not so common. However, the results after implementing these simple optimization techniques can see your website improve in ranking. You will definitely realize an increase in traffic and consequently leads. There are different ranking signals that search engine algorithms use to rank a website. 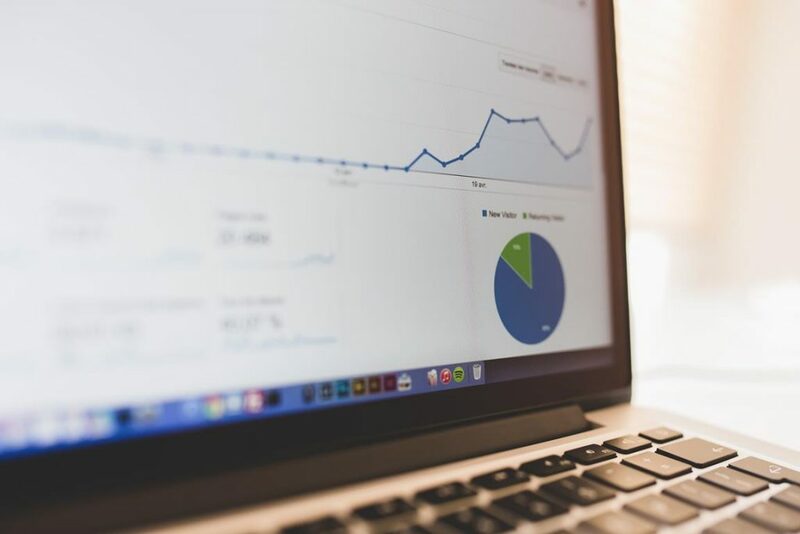 If you improve the rank signals for your website, you will experience an increase in traffic on your website and definitely an increase in leads and conversions. There are different on page SEO techniques and off page SEO techniques you can take advantage of. 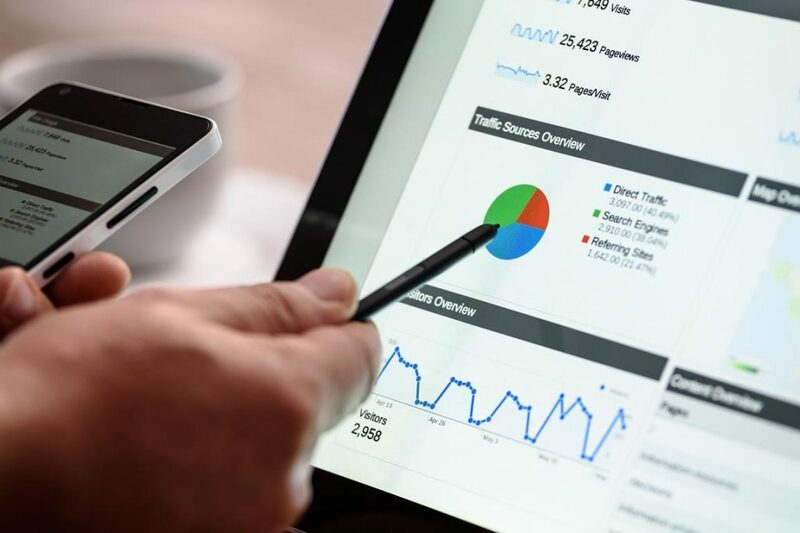 Below is a combination of the latest SEO techniques in 2019 that will improve ranking signals for your website and consequently improve the traffic to your website. Try out as many as you can and let us know which one works best for your niche. You can click on any particular technique to learn more about it if you do not want to go through the entire list. If you want to improve the ranking of your website, you need to write informative content. Content that is unique, well researched and well-written. Banklinko did a research on a million searches. Turns out, the first page results average 1890 words. Many other researches carried out have seemed to suggest when it comes to ranking on the first page of Google, length matters. Apart from the ranking, longer articles also seem to attract sharing on social media. However, the length should come hand in hand with quality. Otherwise, someone might write a shorter, better quality blog post that will outrank you. 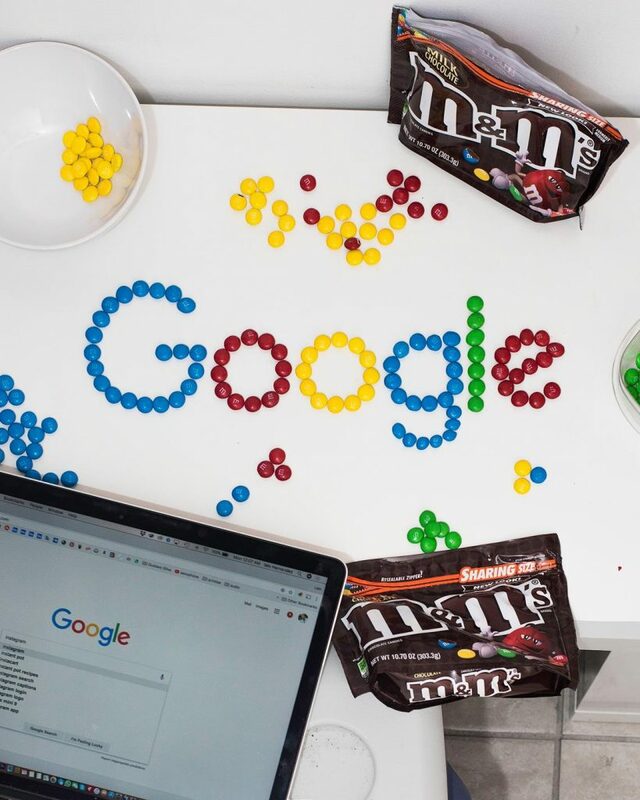 Therefore, don’t get lost in the length and forget that it is the quality that will really drive your ranking on search engines like Google and Bing. Write your article in a way that will entice the reader. You can break it down into valuable sections which are equally important to the reader. Make sure that your article is exhaustive and the reader will get all the information that you promised in your captivating title and introduction section. SEO experts in Kenya normally get lost in the SEO world writing articles specifically for Search Engine bots. Search Engines like Google hate that. Put more focus on the human aspect of the article and Google will “fall in love” with your post/website. The longer your article, the more keywords it will contain. While you are trying to rank for one particular keyword, your article will show up for other relevant keywords. Therefore, you need to constantly write and provide your readers with these lengthy articles. Strive to always write at least 2000 words in your article to compete against other competing articles for similar keywords. One of the best ways to rank your website is to spy on your competitor. For your competitor to rank for a particular keyword, there must be something that they did to make Google fall in love with their content. Well, Google is not that loyal. You have a chance with google and thanks to your competition, you work becomes a lot easier. You can start spying by being a fan just to learn how they work on content. Subscribe to their newsletter and monitor their content marketing strategy. Pick 5 of your competitors and constantly spy on them. If they have any particular content that seems to be driving traffic and social shares, use the exact keywords that they seek to rank for and write something better than they did. There are different SEO tools that you can use to spy on your competition. You can find your favorite SEO Spy tool and get the exact keywords you’re your competitor is ranking for. Apart from finding out what keywords your competitor is using, it is also important to do a link audit to further spy on your competitor. An in-depth link audit will unearth their entire content marketing strategy. A link audit will give you an insight on their target market when generating content. Go through all their content and find out what it is that their audience like to read and share. You need to incorporate this into your strategy and do it better to outsmart them. You will find out soon enough how this detective work will pay off for your website. Just writing quality content will not cut it. You need to put in this extra work to make sure that your website performs better than your competitor in terms of search engine optimization. Broken links are a big headache for most websites. If you own a website, you need to always keep tabs and repair any broken links you may have or your competitor might just cash in on this. On the flipside, this is what you need to take advantage of from any of your competitors who may have broken links. You will have to track down these links and find out which ones you can use. Create better content than your competitor with the same relevance and get that link juice for your website. Get in touch with the webmaster and request them to replace the broken links with the better content that you have provided. If you are confident about the quality, you will get most website owners to replace the links without much thought. You can use the Wayback Machine to access versions that were earlier linked to match the quality that is expected. User on search engines are normally very specific on what they want. This is where optimization for long tail keywords becomes very important. A long tail keyword is actually a phrase comprising more than 3 words. Long tail keywords are highly targeted towards a particular niche other than the wider demographics. When writing articles or generating any type of content, you should cast your net wider than the generic keywords. Find out different long tail keywords and optimize your website or content for these keywords as well. You have better chances of ranking higher on Google with these diverse long tail keywords that capture a specific area of interest. The effort put together will give your website a competitive advantage. A couple of years ago, algorithms were not as elaborate as they are today. Google mostly would look at the specific keyword in its ranking analysis. Then in came the Hummingbird algorithm update which changed ranking as we used to know it. With the update, Google now has a better understanding of topics and the content and can match relevance. This is what is popularly known as Semantic Search. Semantic SEO therefore became very important and this where long tail keywords and other related keywords become important to be incorporated in your content. 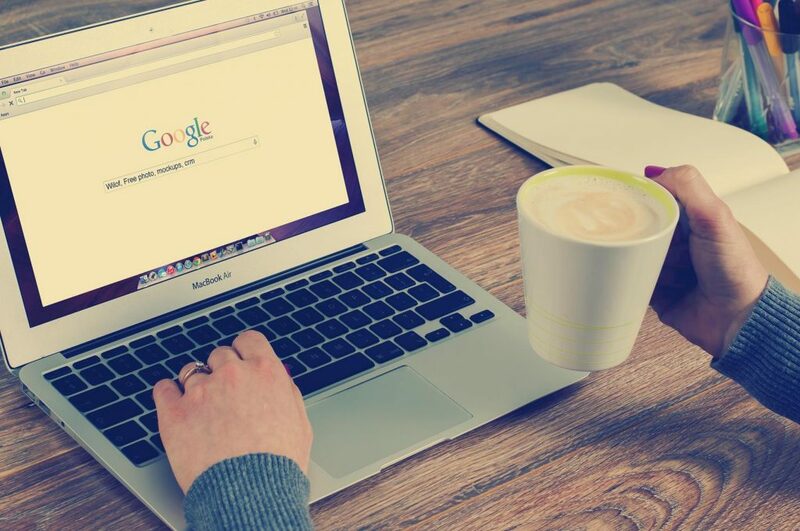 You can use SEO tools such as the lsikeywords.com to help you generate LSI Keywords that you can incorporate in your article to improve the quality of your posts. Use some of the LSI Keywords as subtopics as you segment your article. Once you do this well, you will find that any article you write will rank for over 1000 keywords. This probably sounds strange but is one of the best techniques you can use. This is particularly important a strategy because it will always have a positive result. You will always find it easy to rank number 1 for keywords that you come up with. It sounds pretty useless considering it is traffic that you are after. However, some keywords you generate have a potential of becoming popular in the future and guess what? You will be already ranking number 1 on Google for that keyword and your website will enjoy a good share of the traffic that comes. If it is something new and original, like a unique workout routine or anything else in your industry. Give it a name and the internet will soon catch up. Other people in your industry will write about it and they will use the keyword you named. Wikipedia is one of leading content resources on the internet. It is a source of invaluable information in diverse fields. This also makes Wikipedia one of the best places to do your keyword research and find keywords to target on your SEO campaign. Just typing into the Wikipedia search tool, you will get a bunch of posts about your niche. Articles in Wikipedia are focused on providing information and therefore they are as natural as can be. The story is different when you are writing an article focusing on a particular keyword. You can borrow a lot from the structure of articles written in Wikipedia and understand all the subtopics you need to cover in your articles. As we already discussed the importance of finding your competitors broken links, now imagine backlinks from Wikipedia. Wikipedia is an authority site and getting relevant broken links is actually a gold mine for any SEO Expert. Wikipedia actually has a page that can help you identify broken links in their articles. Therefore, after you identify the dead links that interest you, you need to write quality content that can be replaced. It is not enough to just jot down a few words and post hoping to link. You need to write your best quality and it can help to use the Wayback Machine to inspect the quality of the earlier used link. Then, of course, write something way better than that. After submitting your link, this will be subject to approval by the editors. So, if you are confident about the quality, you have a high chance of getting your link approved on the Wikipedia article. Many people often overlook this aspect which is a very important SEO technique that can help improve your website’s ranking. The architecture of your website matters a lot and linking help build a hierarchy that search engines can understand. Monitor all your website’s pages and performance. If you notice a page that attracts quite a number of traffic and becomes popular over time, it is important that you build links to these pages. When linking, we often use anchor texts. Make sure that the anchor text you use for internal linking are actually relevant. Do not try tricks that might impact your website negatively. Be as natural as you can be with your anchor texts when linking internally. A common mistake Kenya SEO experts do when linking internally is to always send links to the homepage or landing page. This is understandable as you want the landing page to rank better, right? However, deep linking will give you better results when it comes to optimizing your website. Linking your blog posts to other relevant articles on your blog will show how in-depth your website is. Google actually loves this and you will notice that it will index more pages on your website. Internal linking will generally boost your page authority. Outreach is one of the most popular SEO strategy that experts have been using for a while now. Writing good outreach emails have been the main challenge and that is why many Search Engine Optimization experts in Kenya have had little or no success with emails. When writing outreach emails, it is important that you are relevant, use a creative approach and you get personal with the intended recipient. You do not want to be just another spammy email that the recipient reads the subject and dismisses it without much of a thought. With your email outreach program, you can try and reach out to various influencers in your niche. However, your email needs to be natural and convincing. You can imagine how many people are trying to reach them with the same idea. Make your email stand out. You email should answer important questions that the reader would want to know at first glance. Who you are and what it is that you want should come out clearly. The faster they get answers to these questions, the more they will be willing to find out the content of your email and how they are going to benefit from you as well. If you are smart about this, you will definitely see your email response rate improve. Influencer marketing is one of the best ways to build links and improve your SEO. You need to involve different influencers in Kenya and you will get a lot of value back to your website. In your content marketing strategy, you need to be smart about how you can involve influencer in your niche. Directly involving them for your SEO campaign can be a bit costly depending on how much influencer will charge you. However, influencers are often experts in the field. You can take advantage of this and cite them in your articles. You can later share with them the content and ask them to join in the conversation. For instance, if you are in the beauty industry, you can write an article about “40 most influential makeup artists in Kenya”. In your article, you can mention these makeup artists and quote them. You can share the article with them and definitely most of them will join the conversation and even share it with their followers. Remember, how creative you get with your outreach will determine your response rate. It is not easy getting through with influencers in Kenya, but you can make them fall in love with your story. Storytelling is the backbone of content marketing and influencer marketing can be used as a great avenue to tell your brand’s story. 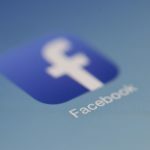 Have you ever heard about comment marketing? You probably know the value that comments and conversations have on your articles. Comment marketing works the same. You can comment on relevant blog posts in your industry. However, comment marketing works the same as content marketing. You should fight off the urge to directly market your business. Provide the audience with answers or technical views as you are an expert in your field. You should plan out a strategy around comment marketing and avoid the simple random responses you give out to articles online. For most experts trying to improve their traffic, you will want to get clicks from the comments. How do you get people curious about who you are or what you are all about? Do not be vague in your comments or simply agree or disagree with an opinion and leave it at that. Instead, as an expert in your niche, you need to write a detailed opinion that will give readers a deeper understanding and spark the curiosity. Another point you need to consider in your comment marketing strategy is that not all blogs are worth your time/comment. You need to choose influential and market leaders. These should be authority blogs or websites in your industry. The blogs you comment on should be frequent with posting articles and information. You should be aware of their content strategy and they should have a number of readers and good traffic coming to their articles any time they post something new. If you are not sure about a subject, it is best not to comment on it. Engage the readers with the information you have knowledge in and always stay relevant. I love brands like BrighterMonday who are consistent in their posting. You are sure that every Monday, you will get a new post in their blog section. They will also mail it out to users on their mailing list. If such an authority is in your industry, you need to include them in your comment marketing strategy. You have probably heard the craze around video SEO. This is basically the optimization of your videos for search. Video marketing has been an important aspect of content marketing and it has directly influenced search engine optimization. Videos are much like articles and before generating content, you need to do a good research. Find out what keywords you will be targeting and make the video as natural as it can be. Just like articles, avoid keyword stuffing your videos. When you search for most terms on Google, you will find that there are several video results that come up on SERPs. Google owns Youtube and this is an arrangement that is not about to change any time soon. Videos have become important and optimizing your videos will improve your ranking and drive traffic to your website. The basics of video SEO still stand. Use keywords in your title, name of the video file and description of the video. To spice up your video SEO, make sure you write short blogs for the videos. Instead of writing a 1-line sentence to describe your video. Write 200 words and more. Mostly bots will be interested in the text info available around the video and your description can really boost your video SEO. If you place your keywords well in the video description and include LSI keywords, you will find your video ranking high on Youtube and even showing up in results on SERPs. You probably have awesome content that you have written before. While the content you write may be timeless, most posts are usually overtaken by events. We often forget them, but if rejuvenated, they can improve your SEO and drive more traffic to your website. If you have any new information, instead of writing a new article, you can find these articles and bring them back to life. Try adding the valuable information or change parts or info that might have been outdated. You can also try and update the images and breathe new life to the article. You can then republish these articles and market them as if they were fresh articles. After republishing make sure you include it in your email/newsletter campaign and send it out to your subscribers. Share the article in your social media pages and create a fresh buzz around the content. 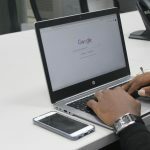 There is normally a disconnect when it comes to SEO and Social Media for very many SEO experts in Kenya. However, social media is a very powerful avenue for building authority for your website and ultimately improving your website ranking. Both domain authority and page authority are influenced by social media. The higher a page authority is, the more it is likely to rank on search engines. Domain authority is the much like page authority, but this covers the entire website/domain. When people hear about social media, attention is always turned to Facebook, Instagram, Twitter and other mainstream social media platforms in Kenya. However, there are other social media platforms with much higher consideration when it comes to quality of content. Such social media marketing sites include Quora, Scribd and Slideshare. However, life will be somewhat difficult for you if you are not about quality in these social sites. This is why they can positively help build your website’s authority and search engine ranking. Do your research on each of the websites individually to learn about the best practices for your content. You will drive a lot of traffic to your website just by generating content for these social media platforms. Roundup posts are also a very good way for improving your SEO. Creating a roundup post is easy. The only catch will be the response rate and commitment of your experts. This normally involves getting in touch with different experts in your industry and asking them questions. You then roundup all their responses and make an article from their responses. For instance, you are in the safari and tour business. You can get in touch with several industry leaders with a similar question. In this case, you may ask, “What do you think about the Wildebeest Migration in Kenya?” After getting their responses, you can compile them in an article like “What 10 Safari Experts had to say about the Wildebeest Migration in Kenya”. Free, great quality content if you ask me. After publishing this post, you will share it with your audience. You will also share with the excited experts that provided the information. They will be very excited to share this with their audiences as well. This will increase your reach the more it is shared around, the better it will be for your website optimization efforts. The only page that really matters when it comes to appearing in SERPs is page one. If you do not rank on page 1 on Google for your keyword, you might as well be on page 10. Very few people have been seen to look for results past the first page of Google. If the results that come up do not satisfy them, they usually refine their search terms. Articles may get stuck in the other pages even if they are of good quality. The main reason why we always insist on optimizing your content, no matter how good it is. With all this said, if you have your website appearing on page 2 or 3 for a keyword, you can certainly not get any traffic to your website. However, it is still a good sign. You should not leave it at that. Pick up these pages and try to constantly improve them so that you can bring them to page 1 of Google. One of the ways you can do this is by sending link juice to these pages. Deep linking your article internally can help improve its ranking on search engines. The Google Console will come in handy in identifying these pages with a good potential sitting in the second or third page of Google. From these pages, pick the ones that get some clicks, even sitting at page 2 or 3. If they are getting any clicks, this shows that the keyword has a decent traffic. From pages with high authority within your website, you can send link juice to these pages. This will boost their ranking and possibly take them to page 1. You can also improve the quality of the content in these pages and build backlinks to the pages to boost them. What Search Engine Optimization Techniques are you going to Use? There are many more search engine optimization techniques you can use to boost your ranking in 2019. Blogs have remained to be one of the powerful optimization techniques this year. Not only does it improve your ranking, but they also influence purchase decisions from users. If you always focus on quality and optimization for your blogs, you will find the authority of your website improving over time. What SEO techniques are you planning on using to improve your website ranking? Share with us in the comments to see what works best, especially for SEO in Kenya. Excellent guide. I especially like the idea of video SEO. Video, and in general multimedia content, is on the rise and will continue to do so as attention spans will keep reducing. Thanks for this guide. We will definitely be using some of these techniques on our sites. The coming generation will definitely rely more on visual. Multimedia content will play a great role in shaping SEO and content marketing. Let us know what SEO techniques will work best for you. You are most welcome. Browse through other guides in the blog to get more information about SEO and how to go about it. Thank you for the SEO techniques. They are actually easy to implement(and free 🙂 ). I will try a few out and see how it goes with my website. Free always sounds good, right? Let us know how these search engine optimization techniques work for you. Maybe we will try and do that. SEO has a direct impact on online sales and profits. Traffic from SEO efforts is highly targeted making the conversion rates a lot higher than other inbound marketing techniques.